"...a branch of medicine devoted to the study of, diagnosis, and treatment of disorders of the foot, ankle, and lower leg. Within the field of podiatry, podiatric physicians can focus and specialise on different areas, including surgery, sports medicine, biomechanics, geriatrics, pediatrics, internal medicine, diabetes, orthopaedics, or primary care." "The scope of practice of UK podiatrists on registration after obtaining a degree in podiatry includes the use and supply of some prescription only medicines, injection therapy and non-invasive surgery e.g. performing partial or total nail resection and removal, with chemical destruction of the tissues. Podiatrists complete about 1,000 supervised clinical hours in the course of training which enables then to recognise systemic disease as it manifests in the foot and will refer on to the appropriate health care professional." 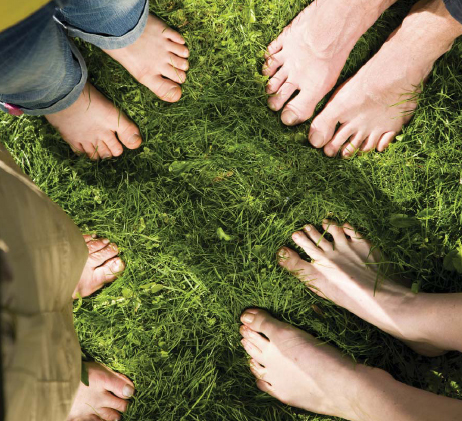 All clinicians with Footsteps Chiropody and Podiatry Practice are registered members of the Society of Chiropodists and Podiatrists and registered with the Health and Care Professions Council (the regulatory body for health professions).